I feel like I’ve already seen this due to the sheer volume of podcasts director Bobcat Goldthwaite appeared on last year talking about this film. It sounds right up my alley too – sick of society, a terminally ill man (Mad Men’s Joel Murray) goes on a road trip to rid the world of evil people, and is joined along the way by a potentially sociopathic 16-year old girl. Apparently, there’s a scene where a baby explodes. I’m not sure if that’s a good or a bad thing, but either way I feel that I need to find out. I haven’t seen it yet because I don’t think it came anywhere near me cinema-wise (all i have are two Odeons and an Empire cinema nearby, plus a one-screen tiny little cinema that most people would call arthouse, but they rarely show anything I want to see). I’m not super-excited for this film yet, because I still haven’t seen director Ben Wheatley’s previous two films, Down Terrace and Kill List, the latter of which is in my Unseen DVDs list, so I’ll be getting to it soon, but similarly to God Bless America this sounds nice and gruesomely whacko, with a couple of caravanning outcasts (Alice Lowe and Steve Oram, who created the characters on stage many years ago) taking out anyone who crosses their path as they visit some of the more obscure tourist attractions around the Lake District. Again, this was too small a release to make it near me, but I’ve just discovered its on at Poole Lighthouse next week, so I may have to pop over and watch it. I’ve heard good and interesting reviews, mostly along the lines of this being bloodily humourous and humourously bloody, which suits me no end. Tim Burton’s been a bit more miss than hit of late, which always seems to be the case when he tries to adapt something he didn’t create. 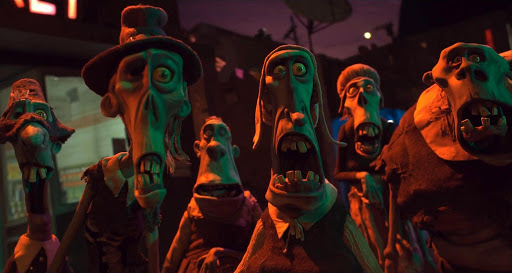 Frankenweenie, on the other hand, was an original story that Burton created many years ago, so it showed real promise and potential for being as good as some of his better works. And it’s in black and white. And it’s about a dog that’s been brought back to life by an inventive child. I wanted to see it, the reviews were good, but it just seemed like something that could wait to be appreciated at home, on DVD, which I’m sure is how I’ll eventually see it via LoveFilm at some point in the next three to five years. Yann Martel’s Booker prize-winning novel is wonderful, and if the reviews I’ve read are anything to go by, Ang Lee’s film is just as good (“life affirming” seems to be this film’s buzz-phrase). Also, the 3D is supposed to be really good, but I’m not a huge fan of the extra dimension, so I doubt I’ll ever see it in that format. I get the feeling that this is the kind of film that really benefits from being seen in a cinema, and even though it’s still in theatres (it was released here on December 20th), the oncoming slew of great-looking movies may well prevent me from seeing this on the big screen. This film, on the other hand, looks positively designed for home viewing, as it’s basically a mumblecore time travel movie, with all of the production values and jaw-dropping set pieces that description entails. The premise sounds really interesting – magazine writers follow up on a newspaper advert for a companion to go time travelling – and I’m really intrigued to see where it goes from there. It was only released here on boxing day, and I highly doubt it’ll ever come near me theatrically, but I’m looking forward to catching in on DVD as soon as possible. I loved Little Miss Sunshine, so when Jonathan Dayton and Valerie Faris’ next directorial outing, again starring the always great Paul Dano, failed to materialise at my local Odeons in October, I was less than pleased. This is still a state in which I find myself, and I’m really considering moving to somewhere that receives a wider selection of films. The story, about Dano’s writer’s block stricken novelist accidentally creating his dream girl by writing her on the page, could go so wrong in the hands of other directors, but I just know that Dayton and Faris will keep this from being either sordid or silly. By all rights, this sounds like the best film released this year, judging from the rave reviews it received everywhere I look, but guess what? It never made it to my local cinemas! So I’ve not seen it, although to be honest I don’t know if I would have gone anyway, as it’s only 93 minutes long, and I like to get my money’s worth at the cinema in terms of length. That being said, The Cabin In The Woods was my top film of the year, and that’s only 95 minutes long, so what do I know anyway? All being well, I’ll be seeing this found footage superhero movie fairly soon, as I got it for Christmas from my girlfriend’s Grandad, in an eclectic combo of this, Singin’ in the Rain and The Skin I Live In, all of which I’m very much looking forward to seeing. I hear very good things about it, so you can look out for my thoughts on it soon. It was good enough to spark furious debate about whether director Josh Trank would be directing the upcoming Star Wars sequels, but it turns out he’s doing a Fantastic Four reboot instead. Hopefully it’ll be better than the last one, and judging by Chronicle’s reviews I think that’s a certainty. Zombies! Stop motion zombies! An all star cast fighting stop motion zombies! How have I not seen this yet? It looked awesome, reviews were good to great, and apparently its littered with horror movie references. Plus, did I mention, stop motion zombies? This one I’ve got no excuse for not seeing, as it was out in cinemas for a good little while, it’s just unfortunate that it was over the festive-preparation period, so I missed it when I was busy getting ready for Christmas. Paul Thomas Anderson has yet to make a step wrong (though I’ve not yet seen his debut, Hard Eight), and though I’ve heard this is a very divisive film that has far more character than actual plot, I still look forward to eventually seeing it, and it’s pretty much a certainty that it’ll appear on the 1001 List come October. As with Chronicle, I’ll be seeing this soon as I’ve already got the DVD. I rather like the films of Wes Anderson, not least because he always uses actors I’m a fan of, such as Bill Murray and Jason Schwartzman, and adds to that list Bruce Willis, Frances McDormand, Edward Norton and Tilda Swinton for this film about two kids running away together, and the hunt that takes place for them. I’ve deliberately kept myself from finding out too much about this film, other than who is in it and the general outline of the plot, as I had fully intended to go and see it, but for a reason I honestly can’t remember, it just didn’t happen. I don’t think it was out for long though, so I may have been planning to go the following week from some point, only to find it wasn’t out any more. 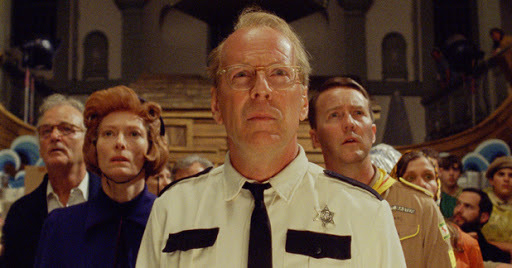 This entry was posted in Top 10 and tagged Beasts of the Southern Wild, Chronicle, Frankenweenie, God Bless America, Life of Pi, Moonrise Kingdom, ParaNorman, Ruby Sparks, Safety Not Guaranteed, Sightseers, The Master by jaycluitt. Bookmark the permalink. God Bless America was a film made especially for me. It's like someone went into my mind, took out all the filth and made a film of what was left. It's great.I saw 9 of your 10 (Beasts was missed) and would recommend all of them although I didn't really enjoy The Master. 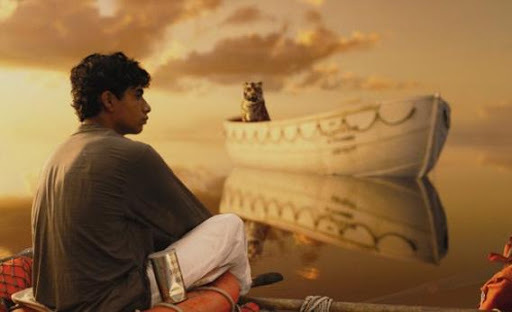 Moonrise Kingdom and Life of Pi are amongst the year's best in my view. Thanks for the recommendations, I'll do my best to review them when I eventually come across them all. I really need to live soemwhere with a better cinema, I never realised how lucky I was when I lived up the road from Stratford Picturehouse.